They say, the snow is coming... And the brilliant thing about having a bit of snow in England is that you don't need to wear a ton of layers to enjoy it, the beautiful, chilly, frosty, sparkly moments that never last long. At first I thought of greys, but then decided to go with camels. They felt cosier somehow. To that I added a touch of Hermes' Jour - it's like a bottled sunshine that wraps your brain in fuzzy layer of endorphins. 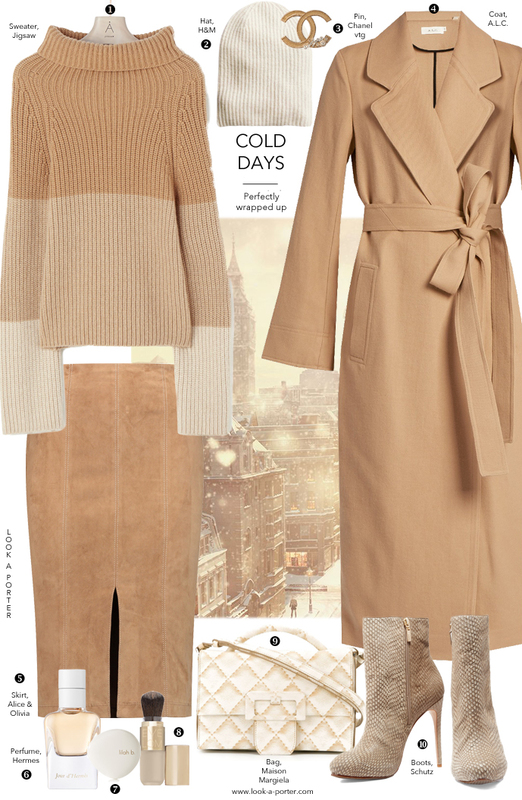 Gosh, that Jigsaw roll neck is just lovely! !